I wanted to submit some things I have colored since this gallery is a bit outdated and since I'm going through some bad artist's block. Go to theunsentlaugh.deviantart.com for my full gallery. THIS PICTURE WAS NOT DRAWN BY ME, PLEASE READ BELOW FOR MORE!!!! Stevenvndoom Was kind enough to give me a shot at coloring his picture "Cowabunga"
So...I gave it a shot. 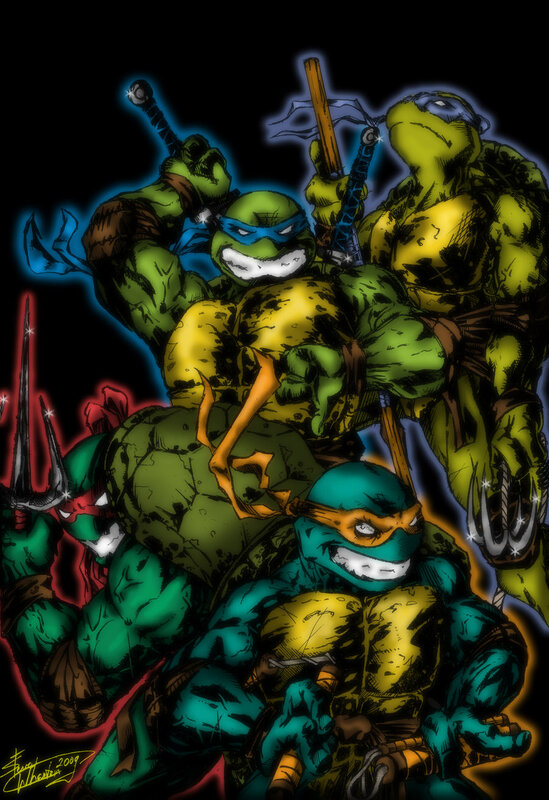 TMNT is awesome, but my coloring is not. I'm stuck experimenting with a few different ways of tossing things around on PS. Thanks again for letting me throw some color on this :) "